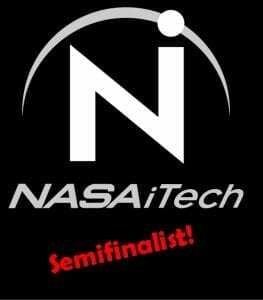 Artificial intelligence, nanotechnology and 3D printing are just a few of the technology threads pitched during the third cycle of the NASA iTech competition. With an eye on how these promising ideas could benefit space exploration, NASA has selected 25 competition semifinalists. An initiative by NASA’s Space Technology Mission Directorate (STMD), iTech aims to find innovative ideas that have the potential to overcome critical technology hurdles facing future exploration of the Moon and Mars, even though many were originally meant to solve important problems here on Earth. These game-changing ideas may come from small or large businesses, academia and other government organizations, giving participants a unique opportunity to present their solutions to NASA. In July, NASA iTech issued a call for ideas within five space exploration focus areas: Big Data and Data Mining, Artificial Intelligence and Autonomous Robotic Capabilities, Revolutionary Concepts for Communications, Medical Breakthroughs, and X-Factor innovations. Congratulations to ActivArmor and Diana Hall! PEDCO Team : The people of Pueblo came together in 1981 and formed PEDCO. Business people, large and small, and individuals dug into their pockets to find money to support PEDCO and its economic development efforts. They also gave of their time, available at a moment’s notice to talk to interested companies. In 1984, Pueblo’s citizens voted to tax themselves to support economic development. The citizens continue to keep that half-cent sales tax in place. PEDCO uses the money for economic development incentives, funding certain capital projects and equipment purchases for new and expanding businesses.